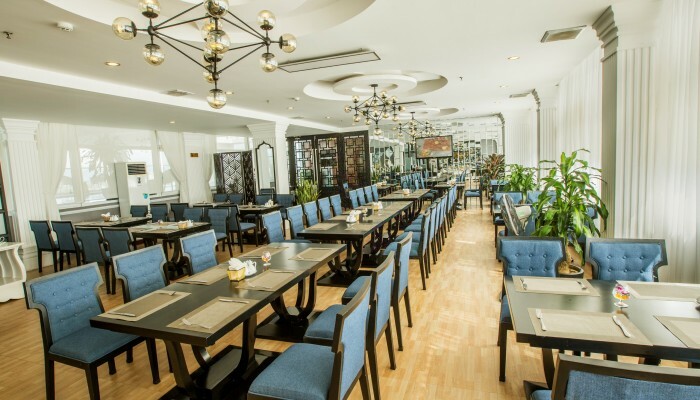 Especially new designed, on the standard of the cozy and elegant in style restaurant in Hue, Adora restaurant is a wonderful venue for those who love the difference. 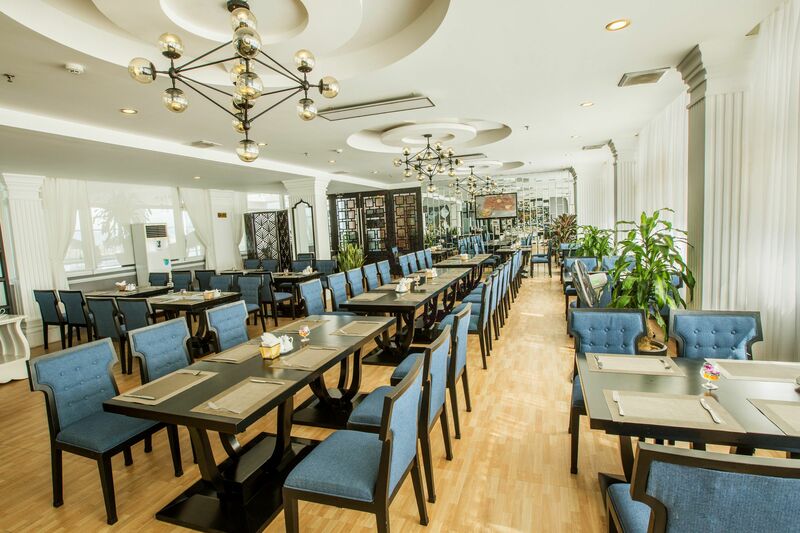 This is the venue that serves the very exclusively traditional Vietnamese Lunch & Dinner or Western cuisines with outstanding service. This venue is also the site where you can admire the surprisingly beautiful Hue city at the sunrise or at the sunset. The Midtown Restaurant offers an extensive International buffet featuring the best of both Western and Vietnamese food. 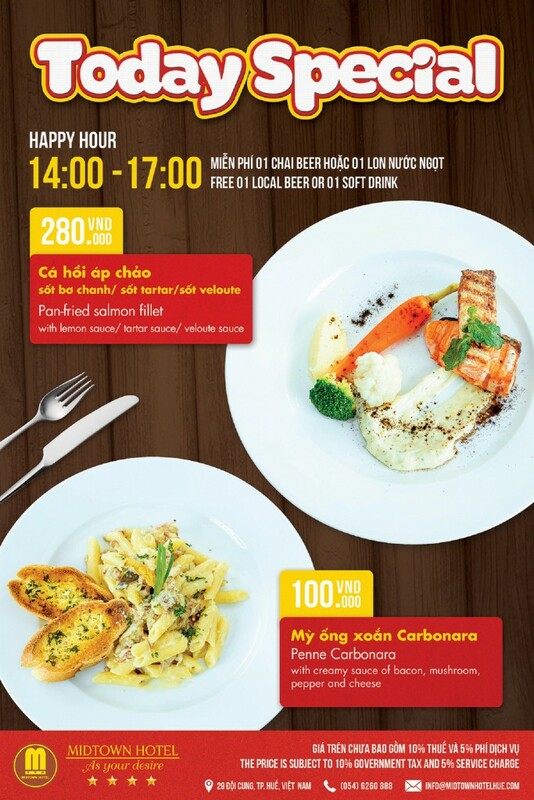 You could also enjoy specialties of three regions of Vietnam. 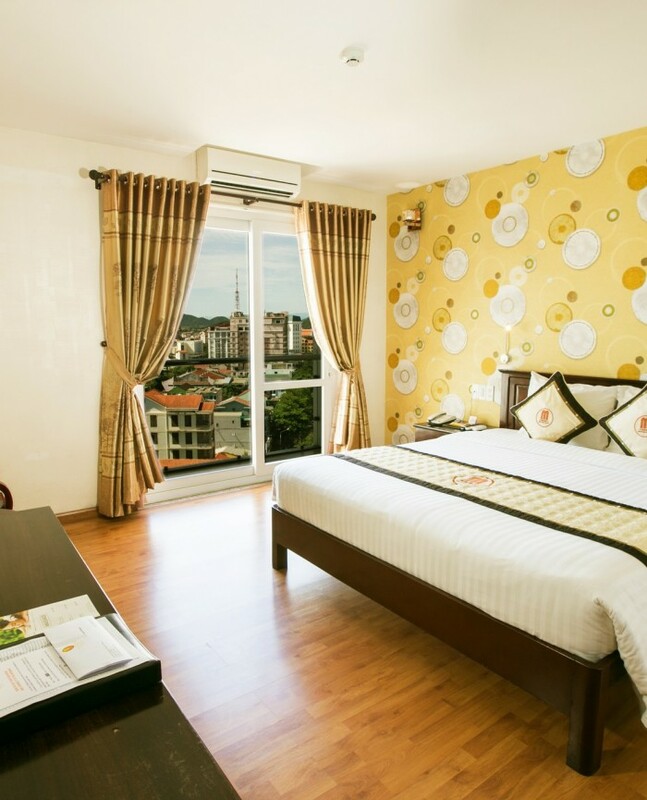 Its VIP room is reserved for close meeting or intimate conversation. Decorated in the Royal style, The Royal Dining serves authentic cuisines of Hue’s royalty. The best Hue royal court music will be performed by artists from Hue monument conservatory center. Nothing is better than enjoying delicious banquet while enjoying melodious music and having a feeling of being a King and a Queen.